In 2017, election management bodies (EMBs) around the world were confronted with a number of new challenges: presidential elections in Kenya were declared invalid amidst allegations of problems with the electoral commission’s databases and computers; elections in Papua New Guinea were delayed in some areas due to striking poll workers and concerns about the accuracy of the electoral register; and a commission on voter fraud in the United States was thwarted by state electoral officials refusing to release data. 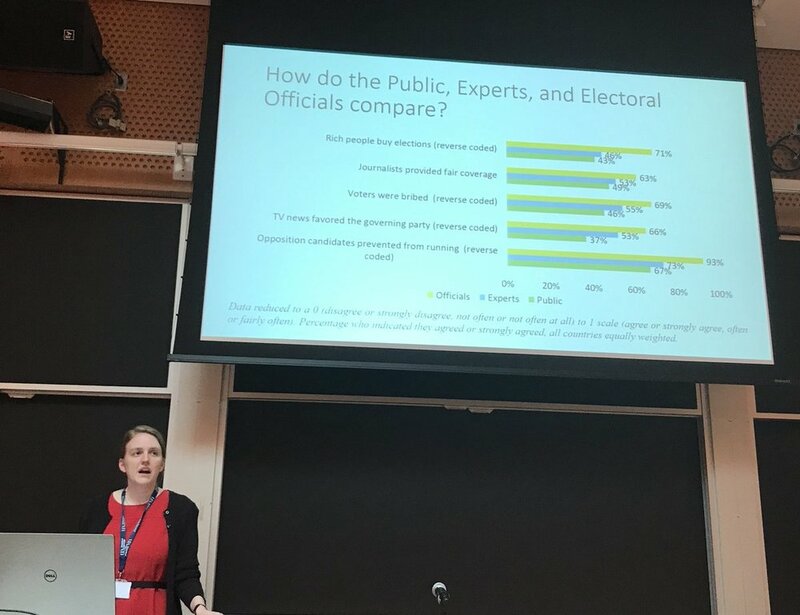 In response to these challenges, researchers from around the globe have renewed their focus on electoral management issues in both domestic and comparative perspective. This workshop aims to bring together scholars and practitioners to discuss major challenges in electoral management, and foster new collaborations. This workshop was unique in facilitating the input of practitioners in these scholarly debates by inviting two discussants per panel: one from the scholarly community, and one from the practitioner community, in order to engage in better discussion with those working on the front-lines of electoral management.